Two weeks ago, we found ourselves having dinner again at Almon Marina at SM Megamall simply because we couldn’t decide where to eat. Almon Marina was our safest bet because we’ve dined there several times already and have always left the restaurant satisfied. We had Roasted Chicken, Callos and Carbonara. 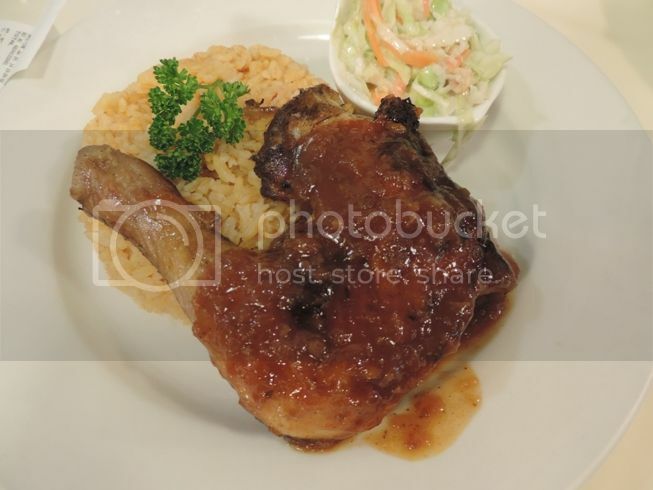 This Roasted Chicken with Coleslaw used to be my favorite food at Almon Marina and the only item I have ordered from them for years. The chicken was perfectly roasted, tender and well-seasoned. The Coleslaw was likewise enjoyable. 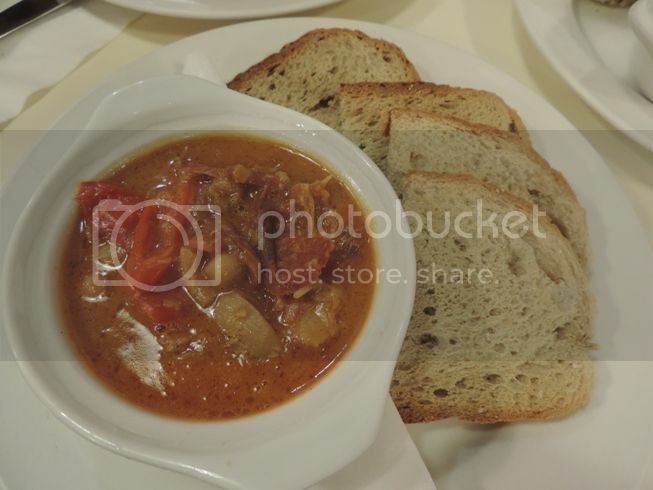 Tastewise, hubby swears that Almon Marina’s Callos is one of the best callos, if not the best, he has ever tried. The ox tripe and oxtail were super soft, and the sauce was divine! As you can see, it’s a creamy Carbonara and the pasta was cooked al dente, but it was a little bland. This was probably the reason why our 7-year-old son didn’t finish the entire plate. 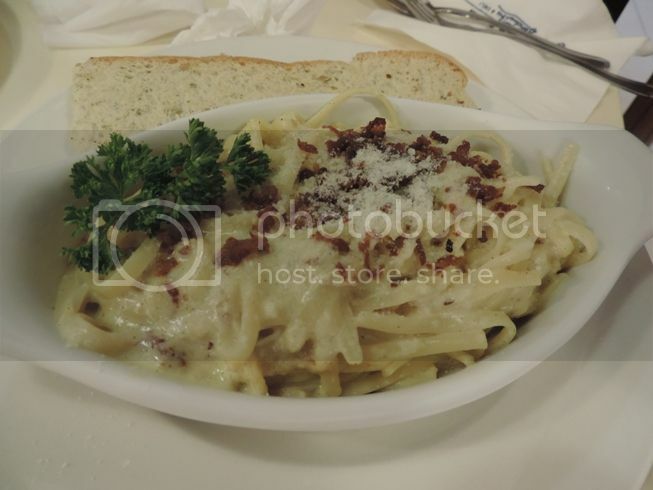 This entry was posted in Almon Marina, Continental Cuisine, European Cuisine, Food Friday, Food Trip Friday. Bookmark the permalink. I think the food is superb and it’s a low priced that other restaurant. Nice of you to keep on family bonding while eating out. I love everything at Almon Marina. It’s one of my favorite restos!